Listen, we all need to know how to perfectly bake bacon. Whether you like to eat it fresh and hot or mixed into your favorite sandwich. So, how do you make bacon? Do you fry it and come out with a shriveled, uneven strip? Or do you bake it on a sheet, only to come out with something that’s overcooked and super greasy? 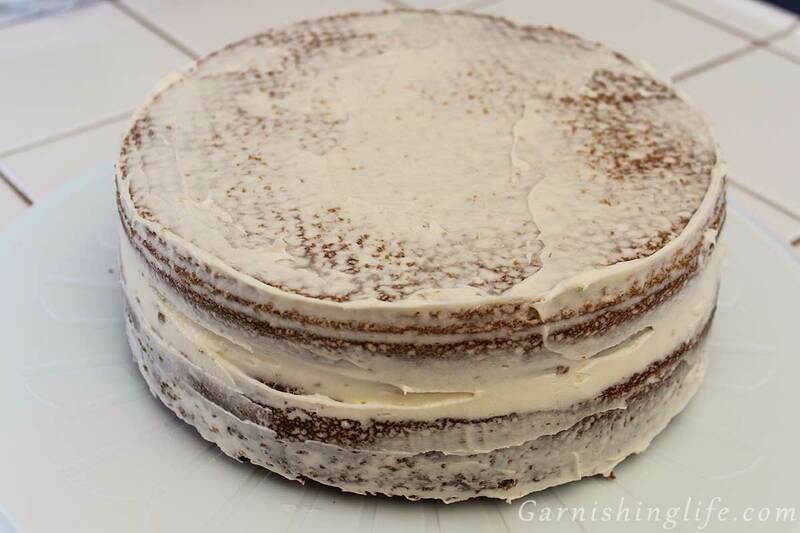 I bake mine and let me tell you, it is perfection. 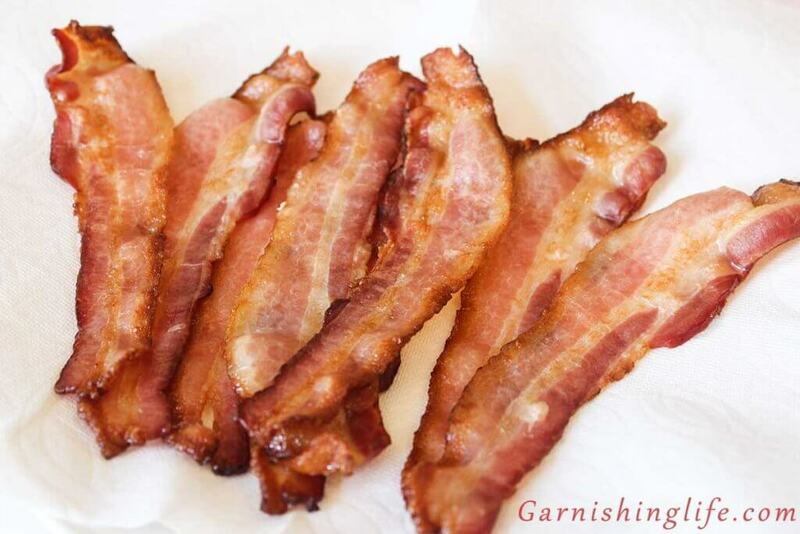 And THIS is the step-by-step post you want to read for how to perfectly bake bacon. Trust me! I have a ton of different tips and tricks. So let’s get started. Preheat the oven to 365°. 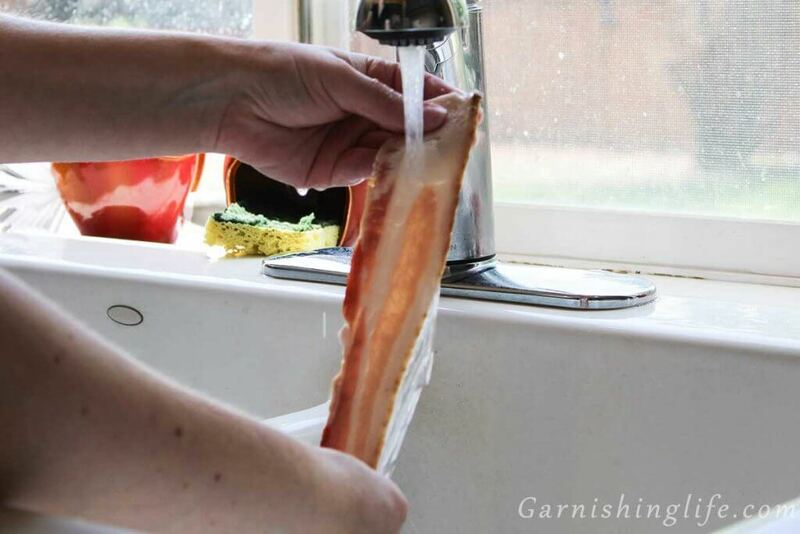 Rinsing is a step that most people don’t take when they make bacon. I run it under cold water and will run my hand down the bacon to try to get some of the grease off. I don’t know why it took me so long to figure this out, but it really helps with bacon shrinkage! The lesser amount of grease on the bacon really makes a difference. 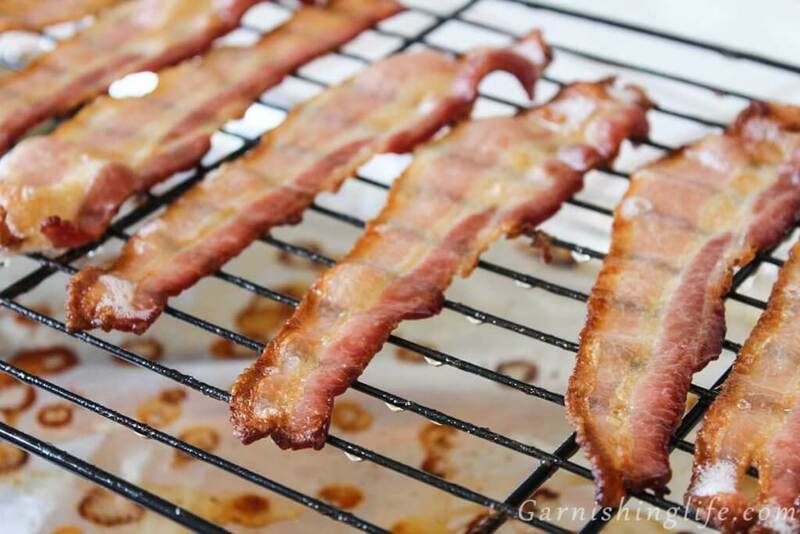 Line a cookie sheet with aluminum foil to collect bacon drippings. 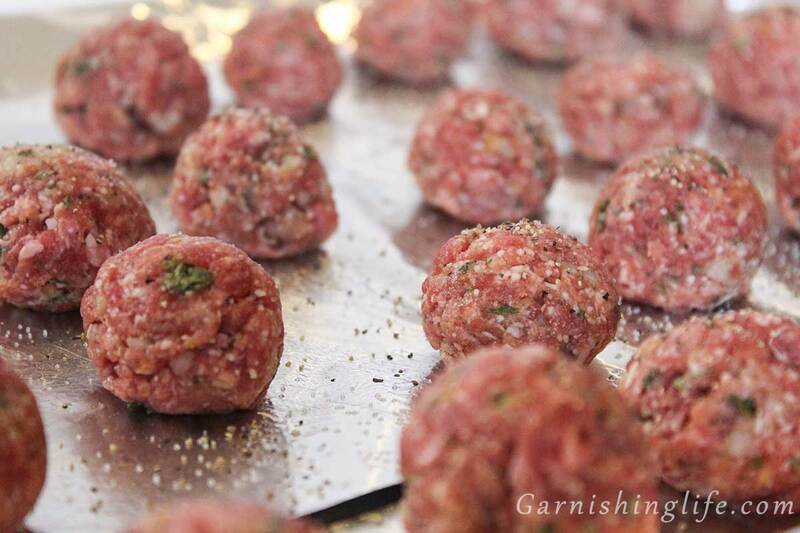 Place a rack onto the aluminum foil and lightly spray the rack with cooking spray. Then lay the bacon across the rack. As the bacon is baking, this allows the drippings to fall from the bacon, as opposed to soaking into it. 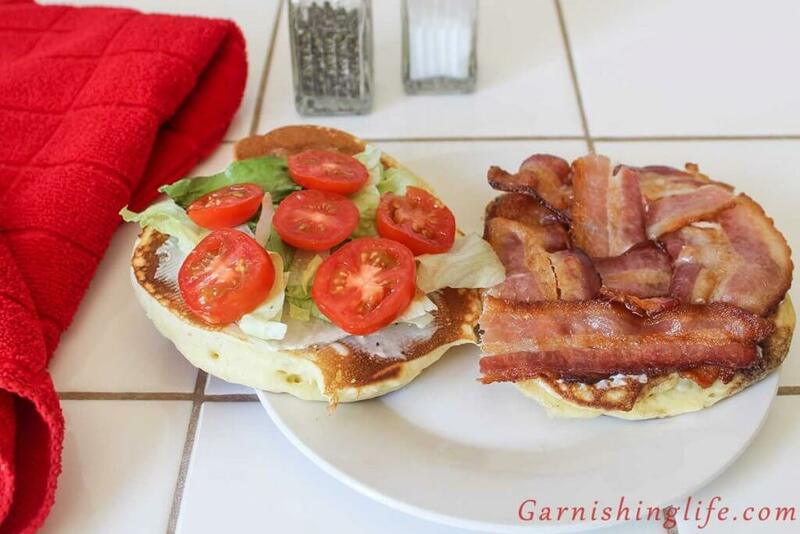 There is still some grease on the bacon while it cooks, don’t worry! Season your bacon strips as desired, or leave it plain. I like to shake some cracked pepper onto the bacon strips for flavor. 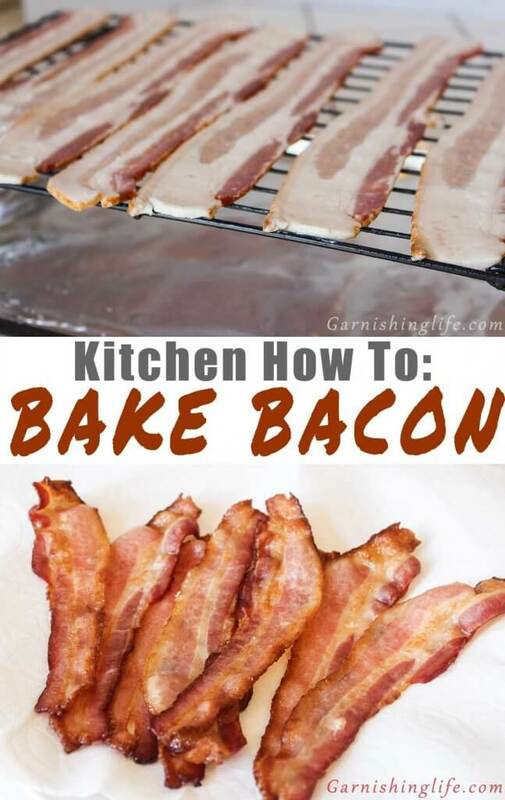 Bake for 10 minutes, flip the bacon and cook for about another 5-8 minutes. 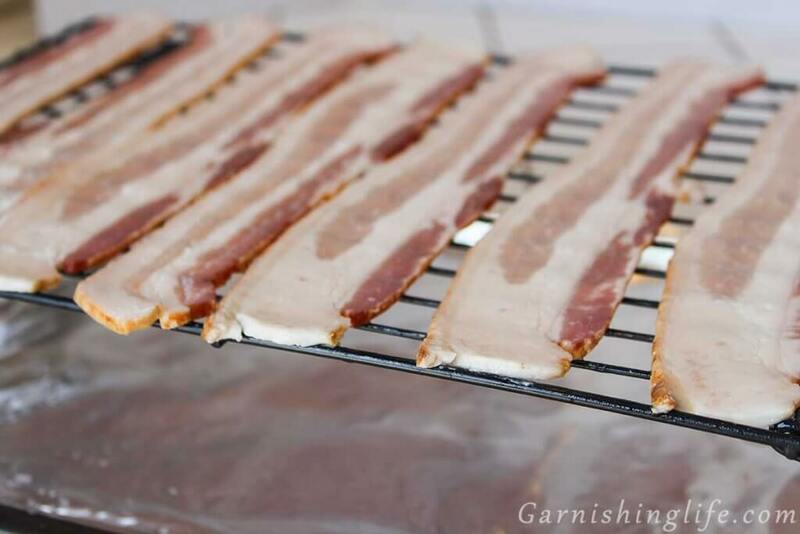 Allow the bacon to sit on the rack for a few minutes to finish dripping the grease, then place on a paper towel covered plate to soak up a little more. And you’re done! You now have a batch of lightly crispy, large slices of bacon. What do you do with your bacon now? 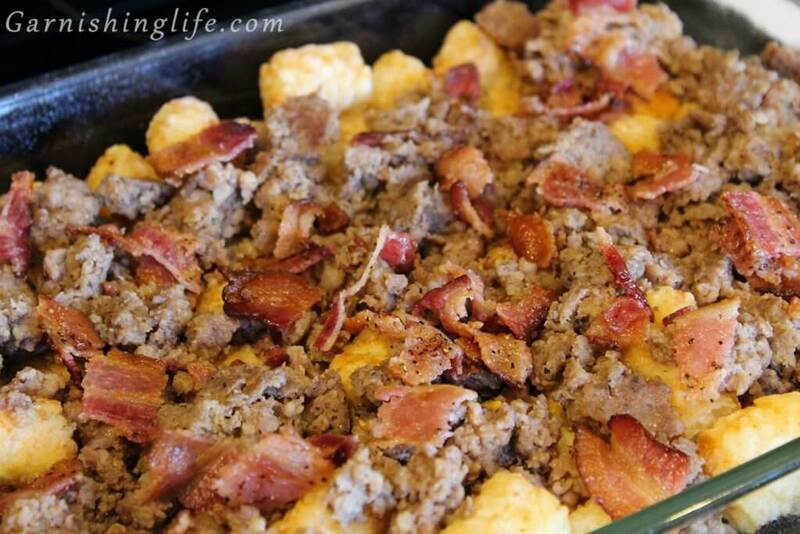 Crumble it over a Sausage & Bacon Breakfast Casserole.